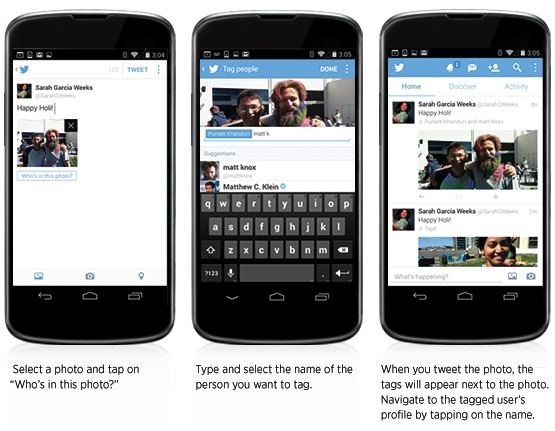 In an announcement on its official blog today, Twitter said that "photos just got more social." What has actually happened is that social just got more photos. 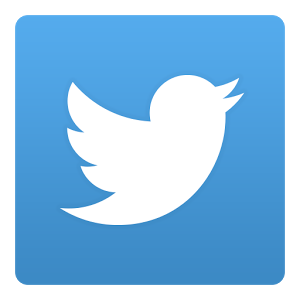 In an update to both iOS and Android mobile apps, Twitter will allow users to tag each other in photos, with the ability to upload four photos at once starting on iOS and coming to Android and the web "soon." Users will be able to tag up to ten other people in their photos, while maintaining all 140 characters for brief, micro-blogged commentary. When you attach a photo to a tweet, a new button labeled "who's in this photo?" will appear, as shown below. As for multiple photo uploads, Twitter's post indicates that even without the ability to upload multiple photos, Android (and web) users will be able to view tweets with multiple photos. Twitter says the update is rolling out starting today, so hit the widget and see if it shows up for you.